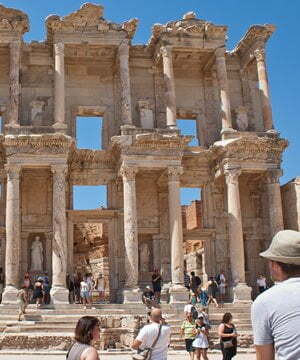 With so much to see in Turkey, this 4-day bus tour certainly gets to many of the highlights. Starting with Cappadocia and the amazing Byzantine rock cut churches. Then the extraordinary geological travertines of Pamukkale. 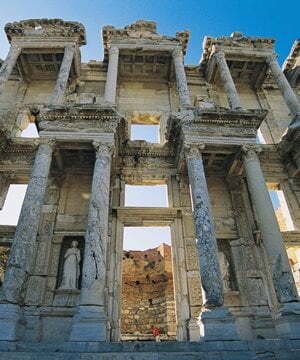 Two major Classical cities: Hieropolis and Ephesus. A day seeing some of the most important sites in the region, including the ancient city of Ephesus, the House of Virgin Mary (a Catholic and Muslim shrine), the 14th century İsabey Mosque, and the Temple of Artemis – one of the Seven Wonders of the Ancient World.